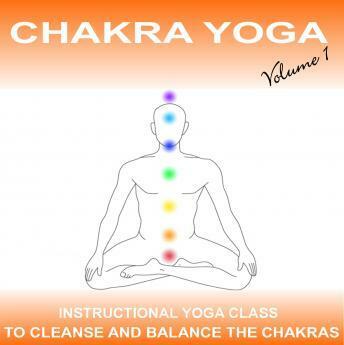 Chakra Yoga Vol 1 is a 65 minute audio yoga class suitable for all levels of experience. Chakra Yoga Vol.1 uses clear easy-to-follow expert instruction combined with subtle background music to guide you through a selection of held and flowing hatha yoga postures and simple but effective visualisation techniques. The class will stimulate and bring your focus to each of the seven main Charkas and will balance emotions, promote optimum levels of health and encourage spiritual development. The class is devised and instructed by Sue Fuller and was recorded in a professional recording studio. Sue is the resident yoga expert for Natural Health Magazine and is a leading yoga teacher, writer and training course author who has studied and taught yoga around the world for almost 20 years.